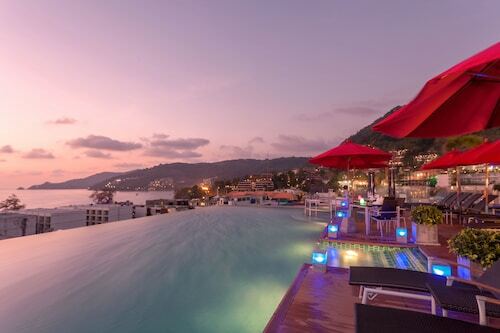 Phuket offers tropical relaxation, culture and fun. Ride an elephant or party until dawn in Patong, cruise the islands of Phang Nga Bay or explore Old Phuket Town. Thailand’s largest island is a natural paradise, with long stretches of white sand beaches, warm turquoise water and untouched forests. You’ll also find luxury hotels, world-class restaurants, ramshackle markets and crowded dance clubs to explore. It’s a diverse culture where orange-robed monks cross the street beside well-heeled businessmen. The local saying “mai pen rai”, meaning “no worries”, sums up just about every facet of life. 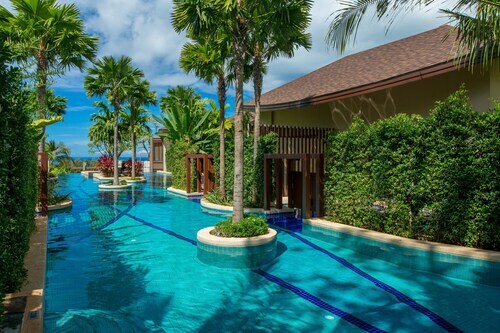 Phuket, just 30 miles (48 kilometers) long and 13 miles (21 kilometers) wide, is nestled in the Andaman Sea off Thailand’s southern Indian Ocean coastline. The western shoreline is the island’s center of activity. 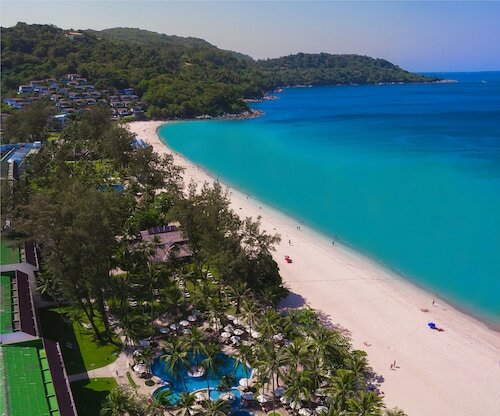 Here you’ll find a variety of beaches and villages, from the neon lights and dance clubs of Patong Beach to the quieter, family-friendly Kamala Beach. Active travelers can fill their days with water sports: swim, snorkel or dive;, jet-ski, parasail or surf. Hike along the coast, or explore deserted islands only accessible by boat or kayak. At Ao Phang Nga National Park, hire a private boat or join a paid tour to cruise around the stunning limestone formations rising from the water. The most famous of these cluster of islands is Ko Phing Kan, sometimes known as "James Bond Island" because it appeared in the 1974 film The Man with the Golden Gun. The Phi Phi Islands were used as the set for the 2000 film The Beach, starring Leonardo DiCaprio. Sometimes the best thing to do in Phuket is to stretch out in a hammock and relax. Escape to hidden bays such as Laem Singh or Kata Noi for peace and quiet, or indulge in a waterside massage at shacks dotted along any one of the island’s beaches. Find tranquility beneath the Big Buddha, or at the Nai Harn Beach Samnak Song Buddhist monastery. In the late afternoon, head to Promthep Cape for an uninterrupted view of the setting sun. Tuk-tuk, taxi or hired bicycle are the easiest ways to navigate the island. Drive a car and you will have to battle it out for limited parking spaces during the high tourist season. 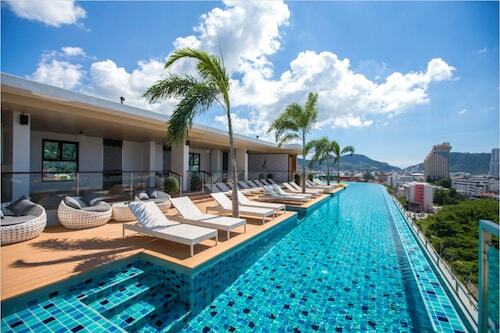 Phuket is hot and humid year-round. The high season is during the cooler months, November though May. The wet season is May through October. 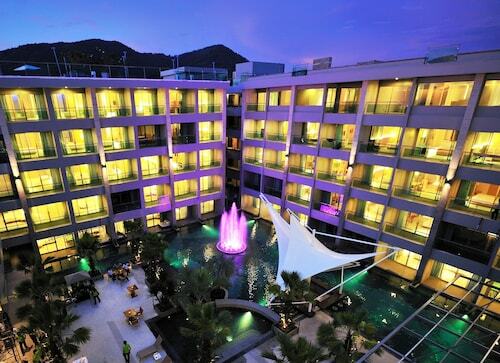 This family-friendly Patong resort is located by the sea, steps from Patong Beach, Bangla Road, and Royal Paradise Night Market. 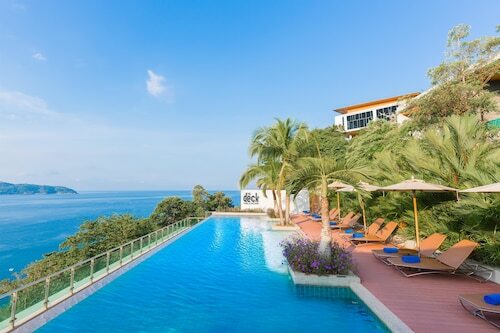 Situated by the sea, this luxury hotel is within 1 mi (2 km) of Karon Market and Karon Beach. Kata Beach and Kata Porpeang Market are also within 3 mi (5 km). This family-friendly Patong resort is located by the sea, within 1 mi (2 km) of Kalim Beach, Patong Beach, and Jungceylon Shopping Center. 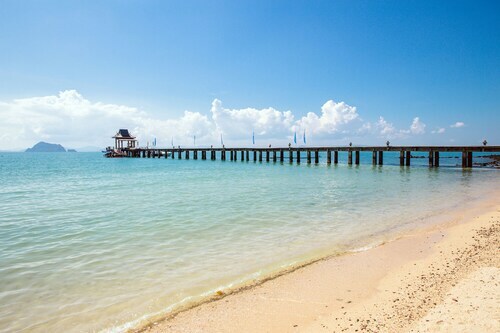 Tri Trang Beach and Freedom Beach are also within 3 mi (5 km).